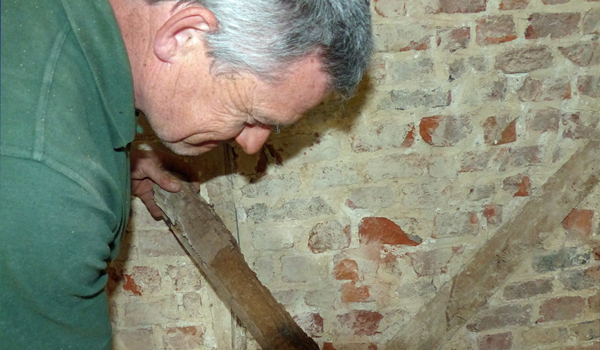 Woodworm in Chichester and in many of the old buildings in areas surrounding it is rife. PermaFix have recently completed an extensive programme of timber preservation and wood replacement to get rid of wood boring insect infestation and wet rot decay in a fabulous old thatched cottage in Chidham, West Sussex. Wade Cottage was built in 1732, in the period between the late middle ages and the industrial revolution. 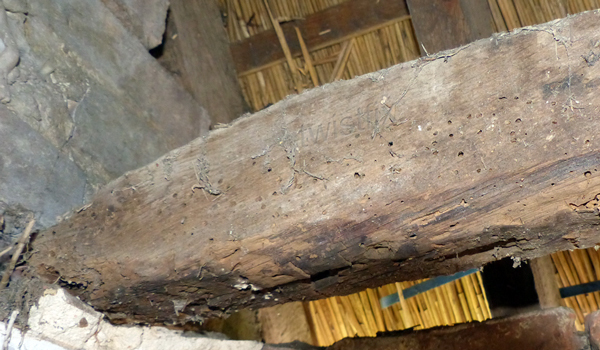 Internally the low ceilings are supported on timber framed walls with brick infill panels and the thatched roof is supported on an old wooden frame; lots of timber to attract wood-boring insects and their woodworm larvae. To rectify the issues with infestation and decay PermaFix replaced many of the larger timbers with new French oak beams and treated the remaining wood with a powerful fungicide/ insecticide paste to all exposed surfaces. Where the timbers were difficult to reach 2-coats of professional wood preservative were sprayed onto the wood to ensure maximum coverage and long term protection..